Of course. 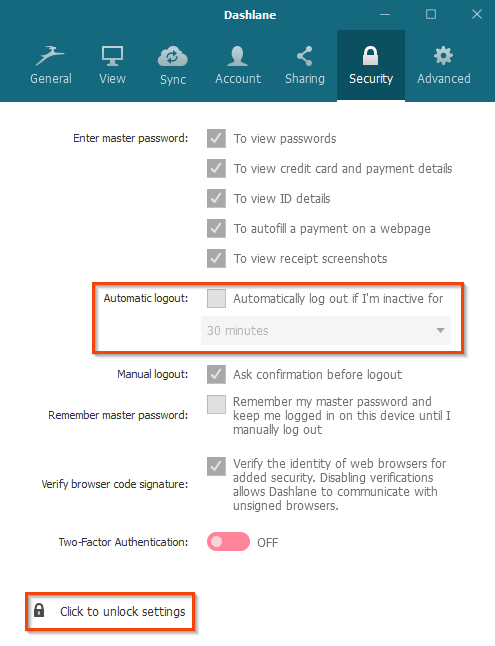 You need to disable the Automatic logout option in the Preferences. Please note that if you decide to disable automatic logout, you should be careful to log out each time you leave your computer. Select the Tools menu in the top bar menu, then Preferences. Go to the Security tab and click the lock icon at the bottom to unlock the window. Now uncheck the Automatic logout option. 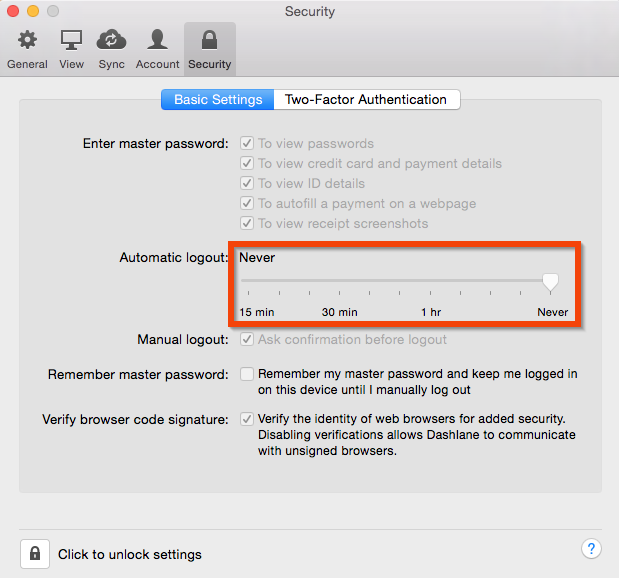 Select Dashlane in the top bar menu, then Preferences. Go to the Security tab in the preferences and click the lock icon at the bottom to unlock the window. Now set the slider to Never in the Automatic logout section.